Over the course of 30 years, CAPAL has developed an extensive alumni base and professional network of AANHPI leaders in public service. What began as a small group of friends in Washington, DC has expanded to groups of alumni based in states and countries throughout the world. 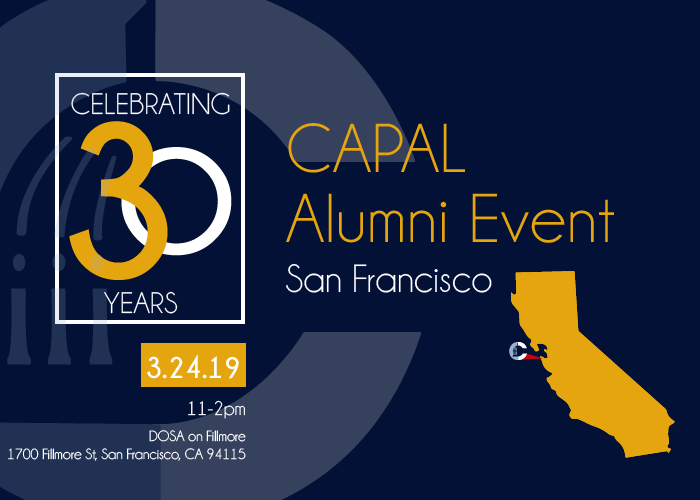 CAPAL hopes to better engage with its alums outside of the DMV, creating a professional support and mentorship network that Scholars & Interns and future AANHPI young professionals can access. Brunch will be provided along with the opportunity to reconnect with or meet the CAPAL community in your area. To ensure as many community members are able to take advantage of this event, if you are unable to attend, please notify us 24hr in advance to open your spot for another person.